​Advanced Systems Technology, Inc. (AST) was created in 1984 by a small group of prior-military professionals working in Lawton, Oklahoma. These individuals had been working together at another professional services company that was supporting Army combat systems at Fort Sill, and they found a mutual interest in pursuing interesting opportunities under their own control. Incorporated in 1984, AST is a CVE Verified Service-Disabled Veteran-Owned Small Business (SDVOSB) under select NAICS codes and continues to be staffed predominately by military professionals at the management and senior technical staff levels. The supporting staff of Subject Matter Experts, Combat Developers, Systems Analysts, Software Engineers, and other technical personnel whose experience in and knowledge of Army concepts and systems is unsurpassed in the small business arena. We have a regional office in Orlando, Florida along with multiple work sites throughout the United States. The company chartered itself as a professional engineering service company that supports the development and testing of software for use in coordinating field artillery fire support missions. Work was performed in support of the requirements of the U.S. Army Field Artillery Board and is now referred to as the Fires Center of Excellence. AST was then a subcontractor in support of the U.S. Army Fire Support community, via a Communications and Electronics Command (CECOM) contract providing fire support software engineering. The leadership and employees supported the improvement of legacy systems and the creation and implementation of new fire control systems. In 1999, AST won a prime contract to provide all personnel and supervision to conduct computer-driven battle simulation exercises for the five Army Reserve Battle Protection Centers (BPCs). Located strategically throughout CONUS, AST was responsible for supporting the development of simulation exercises for the five Battle Command Training Divisions that covered U.S. Army Reserve Command (USARC) CONUS training regions. In 2004, AST teamed with CACI (prime) on the U.S. Army Forces Command (FORSCOM) Operations, Planning, Training, and Resource Support Services ( OPTARSS) contract continuing our work providing personnel and supervision in support of the USARC Battle Command Training Program to conduct computer-driven battle simulation exercises for the five Army Reserve BPCs. AST staffed 57 positions (to include the five site managers). Training support and technical assistance covered a wide spectrum of fielded Army Constructive Training Federation (ACTF) components and a myriad array of digital Army Battle Command Systems (ABCS) and their integration into Mission Command Staff Training (MCST) simulation exercises. Since 2004, AST has provided software engineering and development facility support for the development of the Warfighters’ Simulation (WARSIM) training system. 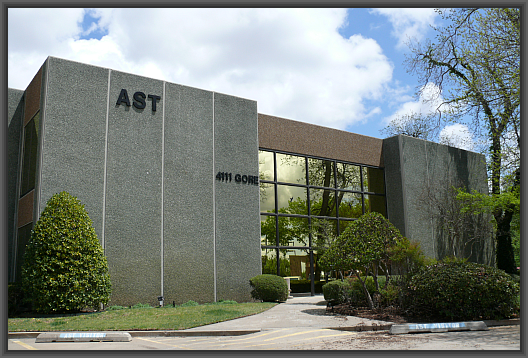 AST personnel use both manual and automated methods to perform software and systems engineering tasks. They research and analyze system and module requirements and specifications, design computer code to satisfy requirements, write computer code to meet approved software designs, perform unit and system tests, and develop and write system and module documentation. They also develop, collect and analyze software metrics to aid LMIS management in evaluating and developing an on-time, quality product. Work is performed as an integrated development team. In 2008, as part of Raytheon’s “Warrior Training Alliance,” AST became a subcontractor on the Warfighter Focus contract. Around 80 positions were assigned to AST to provide exercise and mission sustainment at Fort Irwin, Fort McCoy and Fort Stewart. In 2012, AST teamed once again with CACI under the FORSCOM OPTARSS II contract to provide training support to FORSCOM and USARC by conducting individual and collective training in support of the 75th Training Command. AST provides training support and technical assistance at, and distributed from, five geographically dispersed Army Reserve Mission Training Complexes (MTC) within the 75th Training Command, covering a wide spectrum of fielded Joint Land Component Constructive Training Capability (JLCCTC) - Entity Resolution Federation (ERF) and Multi-Resolution Federation (MRF) components. In addition, AST provides training support for a myriad array of digital Army Mission Command Systems (MCS) and their integration into MCST simulation exercises which provide the execution fidelity during training that Brigade and Battalion commanders and their staff’s desire. This training links Live, Virtual, Constructive and Gaming systems that simulate Army Decisive Action operations, and the simulation/stimulation of collective digital Mission Command training. ​In general, AST has a long history with Live, Virtual, Constructive and Gaming (LVC-G) training simulations and combat effectiveness models. We have successfully performed in the LVC-G training simulation domains on a variety of contracts since 1992.